Node.js is a very large project actively developed by many companies. You can find a large number of modules using an integrated npm package manager. 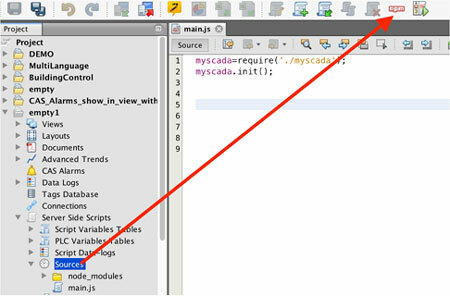 To open it, select the Sources folder in the Project tree and then click on the NPM icon in the main toolbar. A new NPM window is opened. 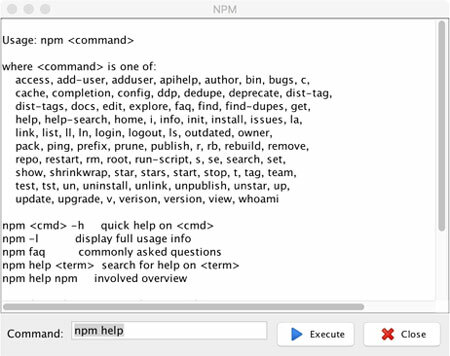 If you fill in command npm help, you will be presented with integrated help. To install a new module, just type npm install module_name and press the “execute” button.